"I teach moms all the things I wish I had known about exercise and the pelvic floor before and after pregnancy." Being the valedictorian of pregnancy fitness. I was in good shape going into the pregnancy and that competitive streak didn't shrink as my belly grew. I was soooo proud that even pregnant, I could out-plank, out-burpee, and outrun non-pregnant moms. I didn't think I needed to let pregnancy "slow me down," even though it quite literally DOES slow you down. "Light on her feet" is not a phrase usually applied to pregnant women, for good reason. I wish I could tell myself that there's no shame in slowing down and admitting that pregnancy changes things, because it DOES! Core and pelvic floor what? I knew hardly anything about the core and pelvic floor. I hadn't experienced any leaking during or after my first pregnancy, so I assumed it would be the same the second time around. You can thus imagine my surprise when I peed myself while jumping rope around 16 weeks pregnant. I didn't investigate any further how I might prevent this other than "don't jump." Brilliant solution, except when you discover your toddler hovering right at the top of the stairs and you have to leap to catch her. I only modified what I needed to in the moment, and didn't really consider the longer-term impact of all that, well, impact. Focusing on the short-term. 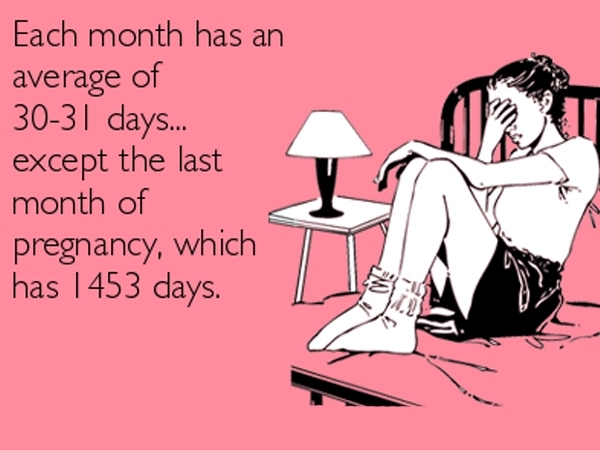 Pregnancy is a very, very small window of time. *ducks as 38+ week moms toss their copy of "What to Expect When You're Expecting" at me* But seriously! We're talking about 9 months out of how many years of the rest of your life? The choices we make during pregnancy DO impact our bodies, and sometimes the effects of those choices aren't fully known until later on. For instance: while I don't know if I could have avoided pelvic organ prolapse, I know that the things I was doing were NOT supporting my pelvic floor and certainly contributed to it. Was running and jumping rope worth having to think about this for literally the rest of my life? No, it wasn't. We need to be evaluating risk vs. reward during pregnancy and thinking about the long game. Walking. I walked a ton, especially in my last trimester. We walked a loop or two of about 1 mile around the neighborhood with my parents several nights a week, and during the last few weeks, one loop was all I could handle. It was hilly, hot, and once was quite enough. Walking is so completely underrated as a form of exercise, especially for pregnant and postpartum women. I thought that I was pretty lame for not keeping up with running throughout my whole pregnancy, but now I'm very glad that I spent so much time walking. Relaxation. I took a nap almost every day of my third trimester when Natalie went down for her nap. If we ever have a third baby, there's no way I could get away with that luxury again, but I took advantage of it when I could! I'm a big fan of Hypnobirthing and I find their Rainbow Relaxation track to be incredibly, well, relaxing (duh), so I'd pop in my headphones, start listening to it, and be asleep within minutes. I always woke up just as it was ending about 20 minutes later, so I got a nice little power nap in. 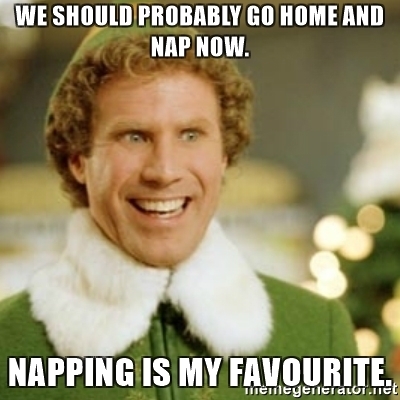 Oh napping, I miss you. I really, really needed that rest, though, and I'm so glad I didn't try to power through and be more "productive" during that time. Napping WAS productive for me. Weight training. While my exercise selection might not have been the best, I am grateful that I continued working out. It helped me feel more normal, more like myself, and when you haven't seen your feet in months and become winded just getting out of a chair, anything that helps you reclaim your sense of self is really important. Weight training and exercise during pregnancy is AWESOME - obviously I am pro-prenatal exercise and love having pregnant moms in my class. We just need to make adjustments as-needed (which is frequently! and that's ok!) and not keep doing what we've always done just because we can.